Tidewater Community College’s Frank Walton has joined the administration of Gov. Terry McAuliffe as an appointee to the state’s Board of Funeral Directors and Embalmers. Walton has been head of TCC’s Funeral Services Program since 2007. He also owns and manages Walton Funeral Home in Virginia Beach. “I’m honored to have the opportunity to serve the commonwealth in this capacity,” he said. Nine members make up the state’s Board of Funeral Directors and Embalmers, and Walton is one of three new appointees who will serve a term that begins on July 1 and concludes June 30, 2019. 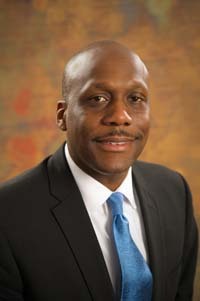 Walton earned his bachelor’s in economics from Hampton University and holds a master’s in counseling from Norfolk State University. He received his mortuary science training at Gupton-Jones College in Atlanta.